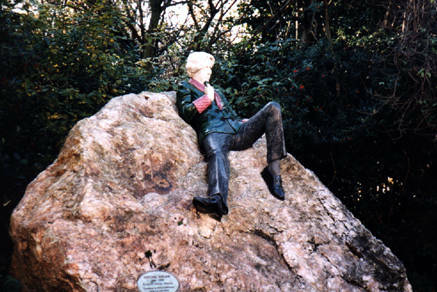 several sculptures are found in the streets of dublin, most of them with an official name, and another name which the locals refer to them by. 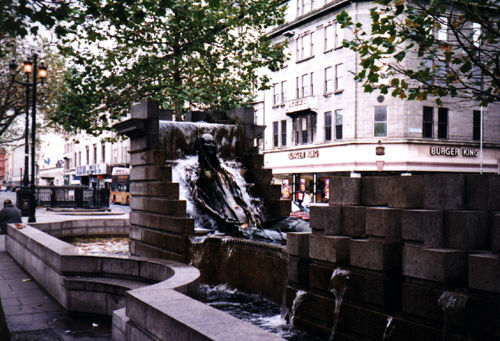 this is anna livia, the spirit of the river liffey, also known as "the floozy in the jacuzzi". 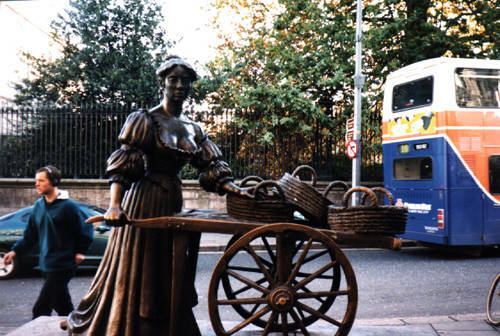 this is molly malone. as my favorite bus tour guide referred to her, "a fish merchant by day, and of quite a different occupation by night. she died of a social disease, god bless her." it is by this reputation that she is known as "the tart with the cart", amongst other things. 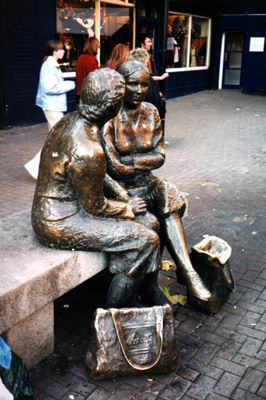 the shoppers near the ha' penny bridge, or "the hags with the bags". and artists of recognition with a little higher regard.